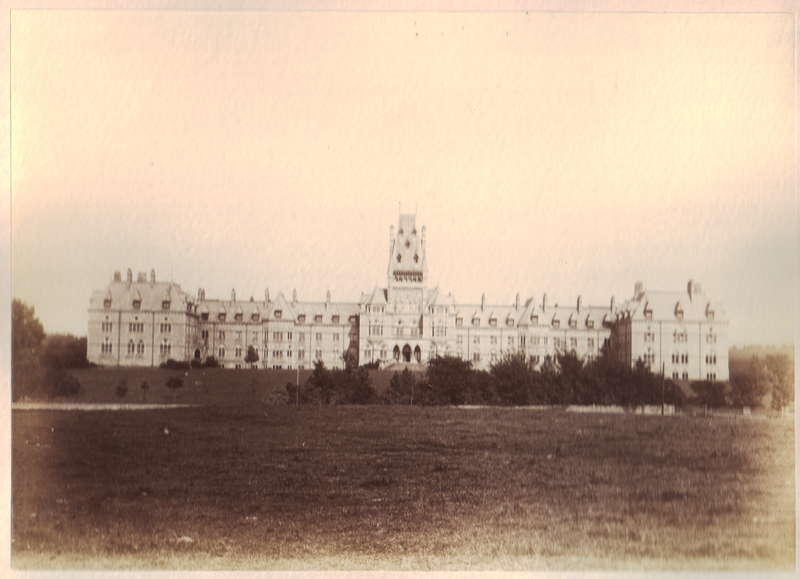 Royal Albert Hospital, Lancaster c. late 1800s. 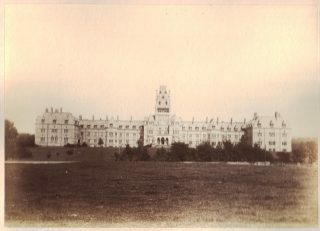 Example of a Victorian single-block asylum. Its main building consisted of offices, staff accomodation, as well as many wards where people lived. 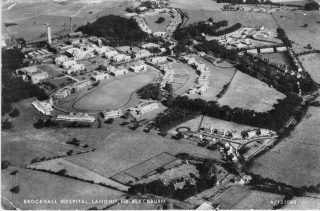 Brockhall Hospital c1960s. An example of the colony type institution - a common layout for those institutions built following the 1913 Act. Although opening in 1904, Brockhall underwent a radical building programme during the 1930s. Unlike the Victorian institutions, the colony model kept offices and living quarters separate. The idea was to create a village type environment, with wards placed around green spaces. The large long-stay institutions of Brockhall, Calderstones and the Royal Albert were only a small part of a larger network of similar places across the United Kingdom. Imposing themselves on rural and urban landscapes, the majority of these institutions existed for most of the twentieth century. Each establishment has its own unique history. They are not all the same. However, the history of all these institutions was shaped by government legislation – especially by the 1913 Mental Deficiency Act. This was key to the development of large long-stay institutions for people with learning disabilities. To understand more about the 1913 Act and its impact on the bigger picture of institutional history, please click on the PDF below.